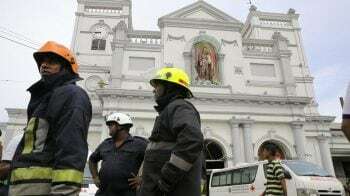 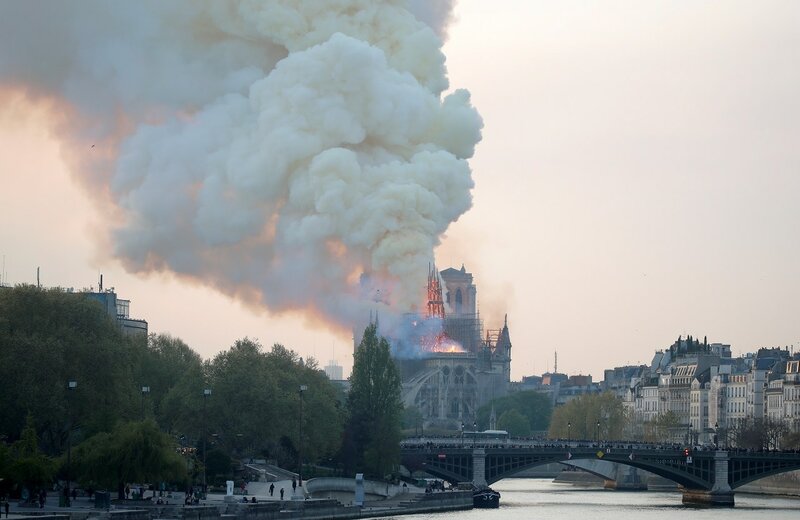 Notre-Dame Cathedral went up in flames on Monday in a roaring blaze that devastated the Parisian landmark, one of France's most visited places.Flames burst through the roof of the centuries-old cathedral and quickly engulfed the spire, which collapsed.A huge plume of smoke wafted across the city and ash fell over a large area. 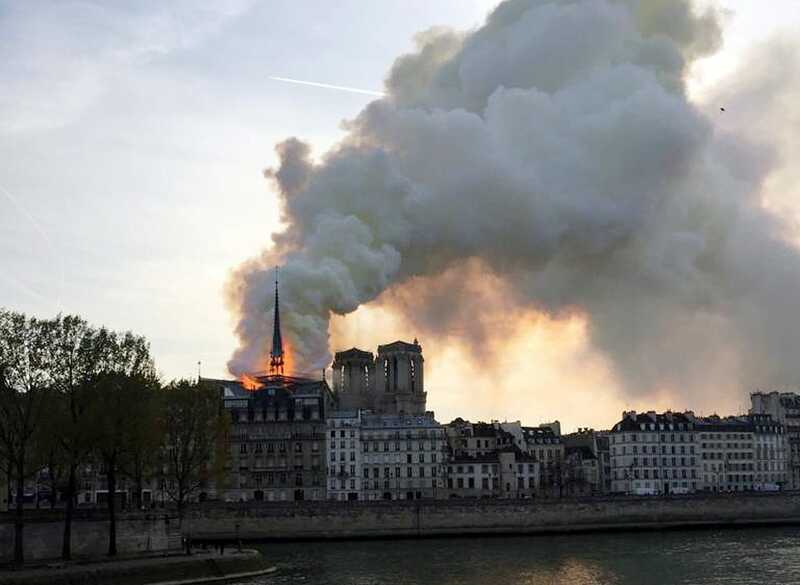 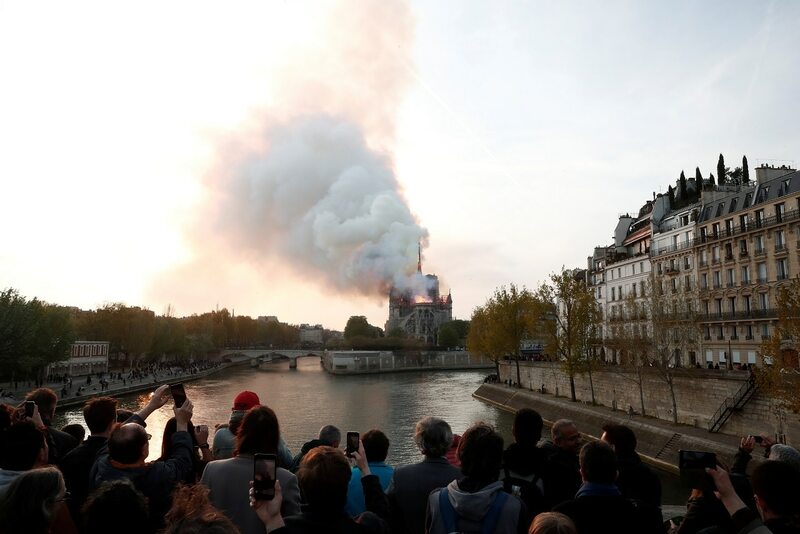 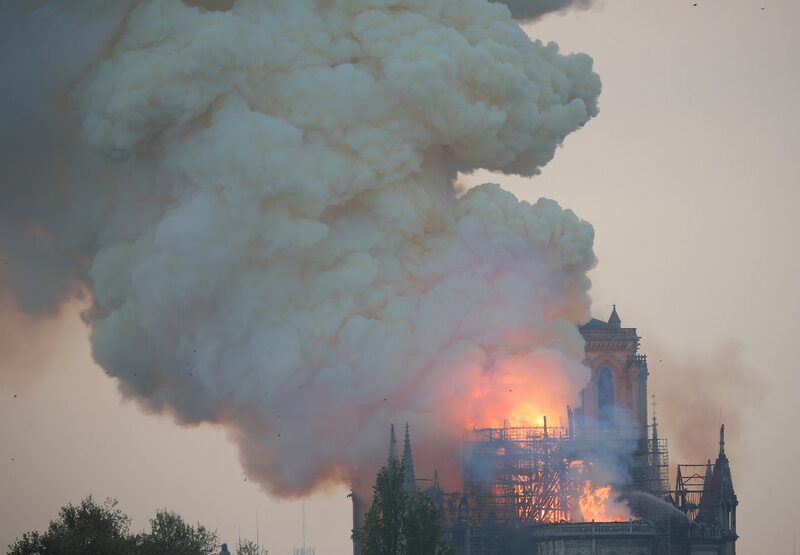 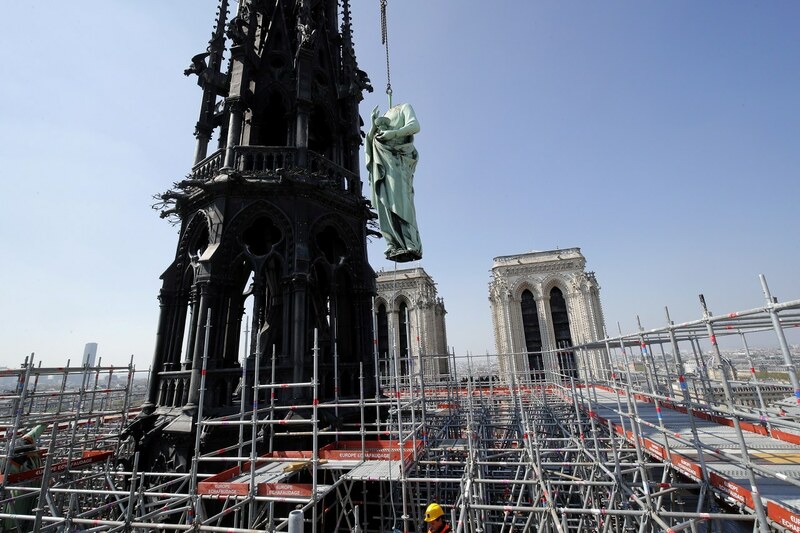 "Everything is collapsing," a police officer near the scene said as the entire roof of the cathedral continued to burn.Firefighters cleared the area around the cathedral, which marks the very centre of Paris. 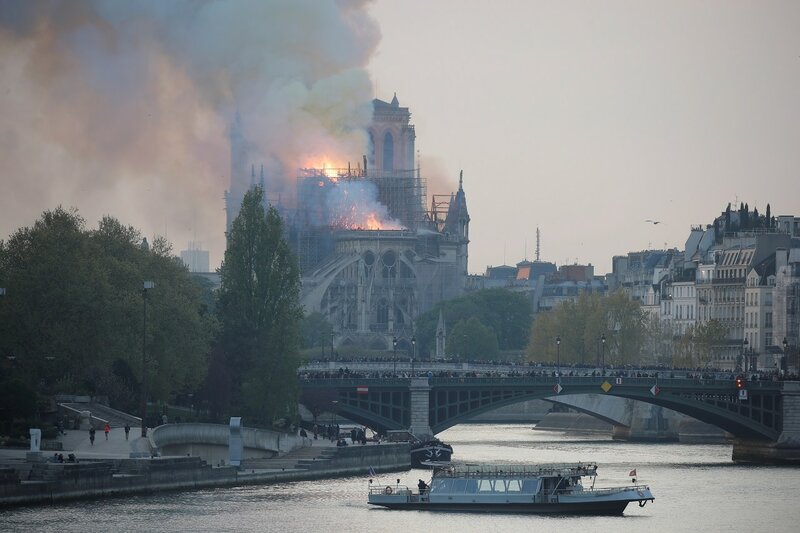 Buildings around were evacuated.